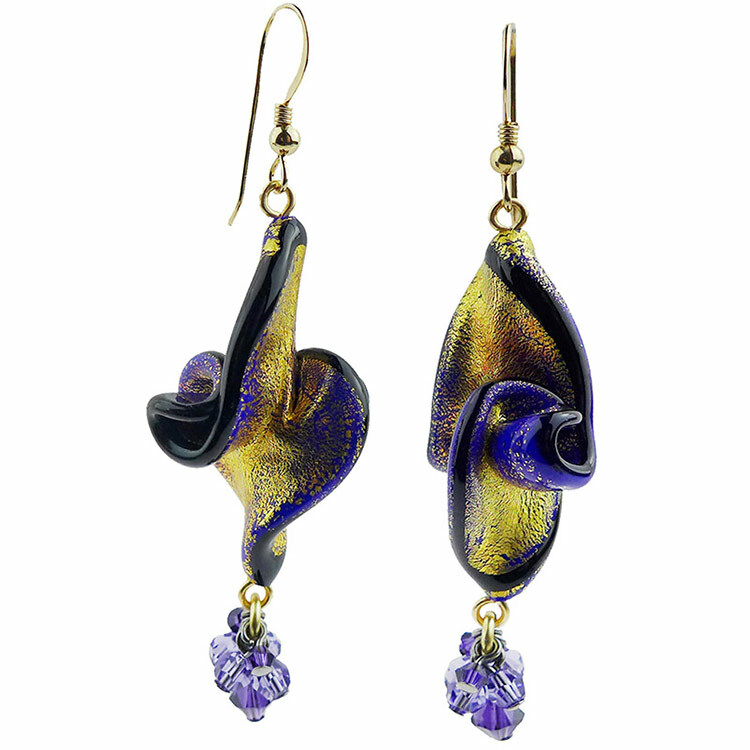 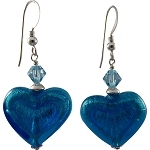 Cobalt blue Murano glass with exterior 24kt gold foil in a twist in the Ca'd'oro design featuring a dangle of a matching Swarovski Crystals. 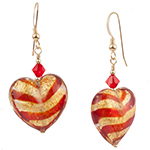 The ear wires are 14/20kt gold filled components, these vibrant earrings exude elegance and taste. 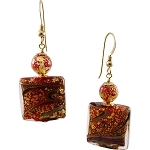 Our beads are handmade by our bead makers and the earrings are assembled here in our own studio.